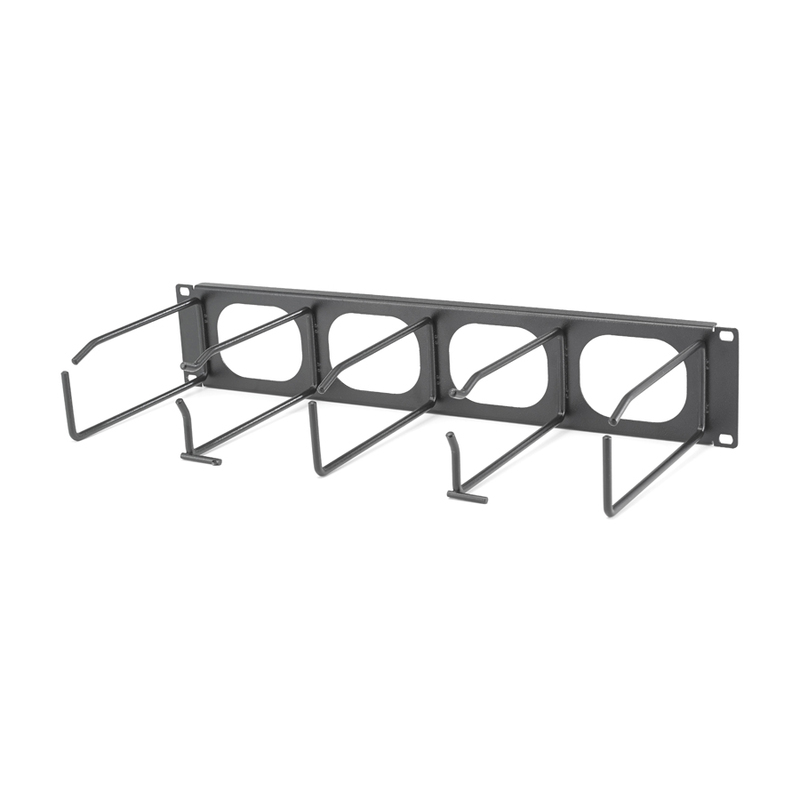 The NEXTFRAME® horizontal cable management system provides the most durable and versatile organized solution for the cross connect. NEXTFRAME® snap fits are secure, rugged and reliable. The assemble-to-order nature of this system also means that you pay only for the features you need as you need them. The Duct Panel has 6-pass through rings, 7-rings and a hinged cover. The Heavy Duty version has no pass-through holes. This style aesthetically pleasing, as it conceals patch cords. It can be upgraded through the use of accessories. - All steel construction - rugged, non-flammable, no fasteners to wear or break, no fingers to fuss with. - Components snap together quickly without the use of tools. - Modular components easily configured in field to adapt to demanding applications. - Generous space between rings alleviates congestion. - "Green" design minimizes weight and Steel content. 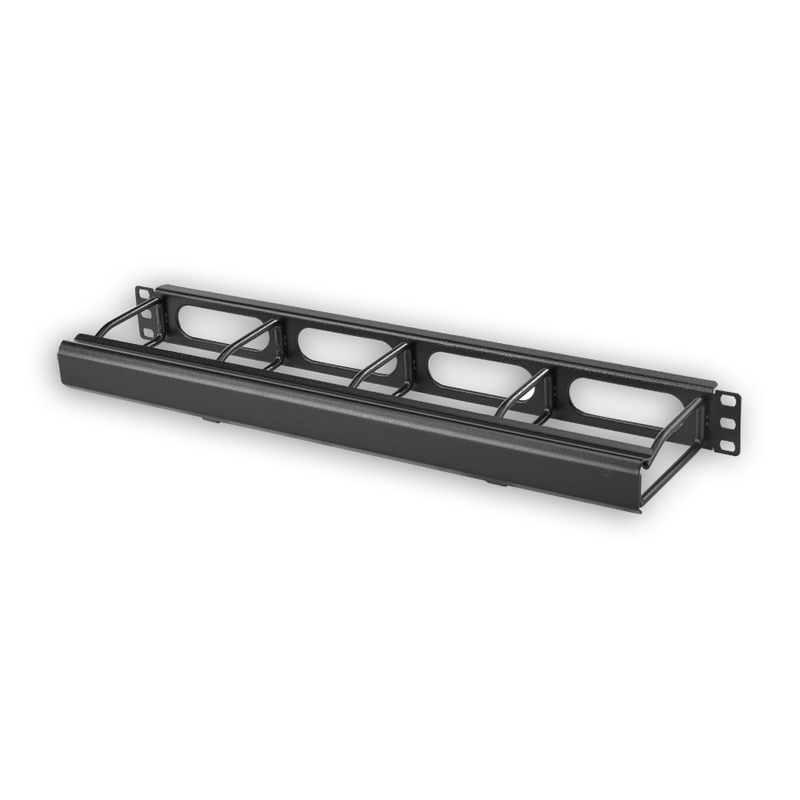 - Category 6A - jumbo 3"x6" deep organizer perfect for high-density Cat 6A installations. - Rugged Steel rod rings. - Pass-thru holes with rolled edges. - Cable friendly round rings. - Locks in place when completely open to prevent cover from being removed or lost. - Eco-friendly packaging utilizes recyclable materials and eliminates excess packing waste. - Center balanced to Category 5e plug specifications. - Balanced PCB design delivers significant headroom over the TIA Category 5e standard up to 100MHz providing true application assurance. - Centered port identification allows for greater visibility of labels and clean patch cord organization on a 48-port patch panel. - Rolled edge construction provides rugged strength to eliminate flex during termination. - Universal wiring panels can be terminated using T568B or T568A wiring formats. 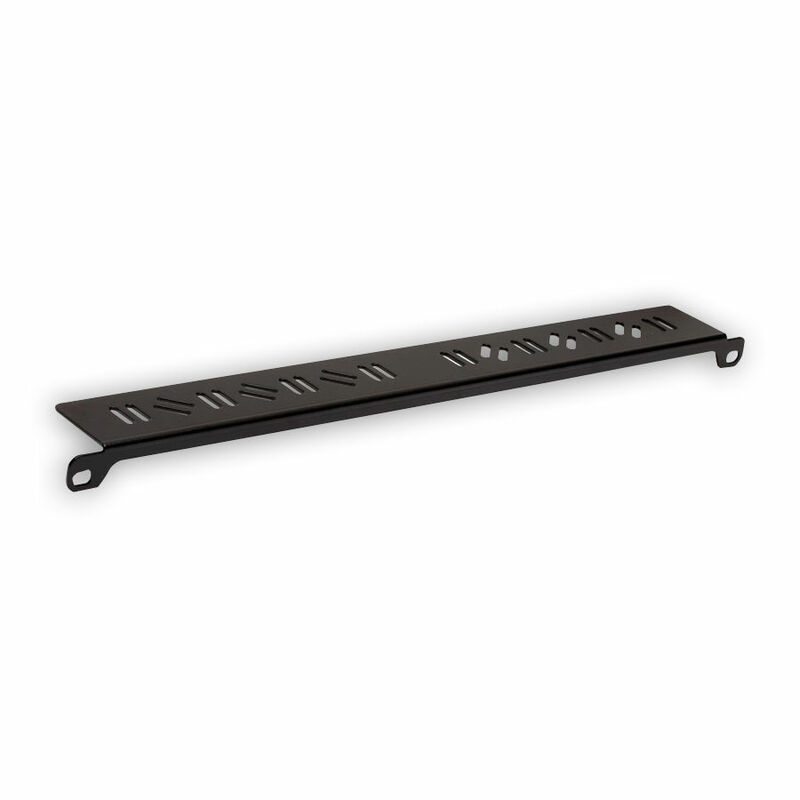 - Optional cable management bar (CMBR) attaches to the rack behind the panel providing excellent strain relief. - Application: Third-party qualified for Gigabit Ethernet Transmission IEEE 802.3. - Component: Third-party verified for TIA-568-C.2 Category 5e Component. - Channel: Third-party verified for ISO 11801 Class D Compliant. - Current capacity: Qualified for PoE and PoE+ IEEE 802.3at. - Manufacturing: 100% factory tested. - Nose contact material: Beryllium Copper with Precious Metal plating with Nickel under-plating. - Contact performance confirmed over the full range of (FCC Specification) deflection limits. - TIA-568-C.2 Category 5e Component. - ISO 11801 Class D Compliant Category 5e.